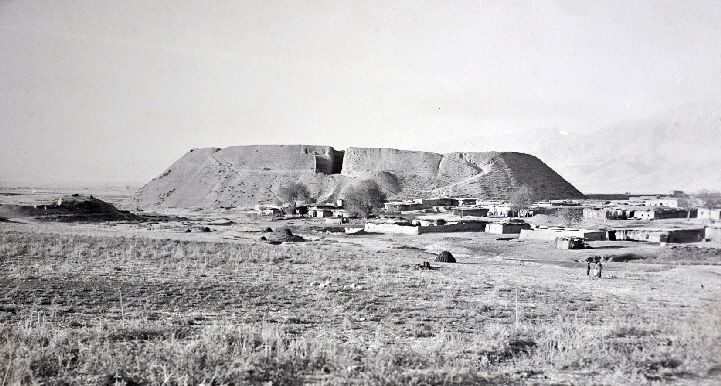 Main mound and old village after excavation season 1961 (photo: Museum Sulaimaniyah). Iraqi excavations of the seasons 1960 and 1961 were conducted on the citadel mound and in the eastern lower city. The citadel trench was located on the southwestern slope, where 17 layers were exposed. The excavators dated them to the “Islamic” (levels I–VII), “Hurrian” (levels VIII–X), “Old Babylonian” respectively “Isin-Larsa” (levels XI–XV), “Ur III” and “Akkadian” (levels XVI–XVII) period. Unfortunately, in his report from 1965 Tariq Madhloum just describes the five upper levels with its fortification and other architectural remains. Trench on the southwestern slope of the citadel (Madhloum 1965, fig. 10). The layers in the lower city’s trench were counted independent from the citadel’s stratigraphy. Eight levels were excavated and tied to “Islamic” times (level I, c. 1200 AD; level II, c. 1000-1200 AD), and to the 1st millennium (level III, c. 800 BC) and 2nd millennium BC (level IV-VIII, c. 1500-1800 BC). According to Al-Husaini’s report from 1962, the upper two layers revealed scattered architectural remains of stones and mud bricks, several ovens and a few graves. Layers III and IV comprised mud brick walls of the same orientation; in IV they formed at least ten rooms or courtyards with rich findings and even a collection of cuneiform documents of a wide range of contents. The tablets were dated to the middle of the 2nd half of the 2nd millennium by Taha Baqir, but only one of them was published by Matouš 1961. More rooms were excavated in levels V and VI as well as many graves in VI and VII. Just layer VIII provided a coherent building unit, a courtyard house with a combination of reception hall and main hall, the latter equipped with an altar in its northwestern corner. The excavators’ interpretation as “temple” cannot be maintained any longer due to the facts that the architecture does not show any other characteristics of a sanctuary, and that similar private houses with altars for domestic cult activities are well known from several other sites, for example from Ur or Tell Harmal. Remarkably enough, except for pottery there were just a few other findings and one fragment of a cuneiform tablet within layer VIII. Two more text documents are registered in the archive of the Iraqi Antiquity Service, where it is claimed that they originate from the Isin-Larsa or Old Babylonian layers on the citadel. 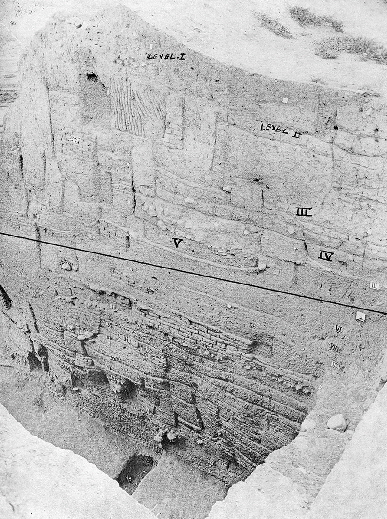 Trench in the lower city: building remains in layer VIII (Al-Husaini 1962, fig. 1b). According to Al-Soof 1985 the excavations also provided Uruk pottery such as beveled rim bowls and two other specimens, but as levels of this period were not reached in the known trenches they must come from mixed contexts, and there remain some doubts about his assignment of the finds to Bakr Awa at all.